A quick over view of some recent Bright Spark Projects that we have delivered for customers. Bright Spark Energy is very proud and excited to share with our customers that we have become part of the WEEE Scheme Recolight ! 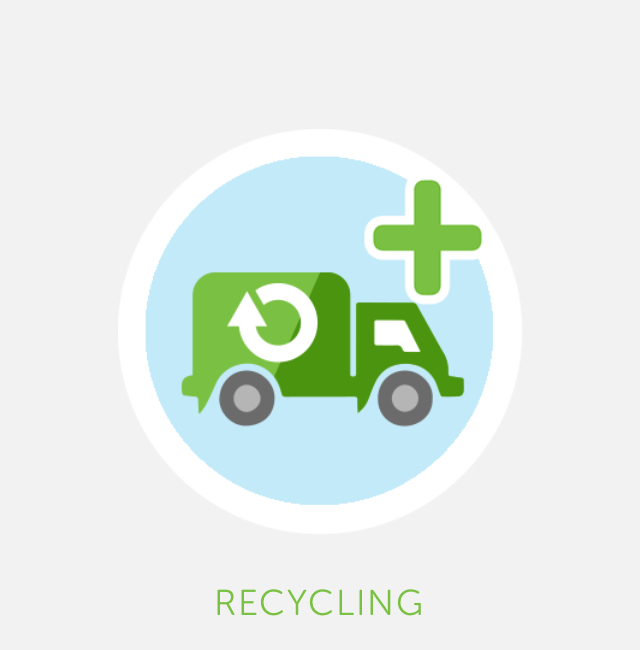 This scheme offers FREE RECYCLING for all LIGHTING in scope of the WEEE regulations. Recolight is a WEEE producer compliance scheme, set up by the lighting industry in 2005 to prepare for the WEEE regulations that were enforced in the UK in 2007. Recolight operate across the UK providing WEEE compliance to the lighting industry and a FREE recycling service for business end users. The non-profit WEEE Compliance Scheme helps to set the WEEE standard. For end users like ourselves, collecting 1000+ lamps each quarter, they offer a FREE container, FREE collections & FREE recycling. For smaller quantities they have a UK network of collection points - these can be found on their website. To date, Recolight has recycled more WEEE lighting than all UK compliance schemes combined, making us very proud to be a part of this thriving scheme. As a Renewable Energy and Electrical company, we are very serious about our environmental responsibilities. That is why becoming a Recolight member is so important to us. We know as a member that not only are we meeting our obligations under the WEEE Regulations but we are also becoming part of a scheme that is saving costs, increasing awareness and raising recycling rates. LED Lighting - Saving Money and Improving Environments. Bright Spark Energy is a NICEIC and MCS approved Contractor, based in Arundel, West Sussex with a second base near Exeter, Devon. Due to rapid growth, we are looking for a qualified electrician to support and grow the business in West Sussex as well as supporting the delivery of commercial Solar PV and LED Lighting upgrade projects across the country. The right candidate will have a ‘can do’ attitude and be able to work on a range of different projects, from running large domestic rewires to being part of commercial installations, eventually managing a team in delivering these projects. Pay dependent on experience between £33,280 and £37,440 based on a 40-hour week with the expectation of some overtime when required. We operate as an equal opportunities employer and we welcome all applications regardless of gender, marital status, sexual orientation, pregnancy, race, colour, ethnic origin, nationality, religion or beliefs, disability, age, political opinions or trade union membership. Salary: £33,280.00 to £37,440.00 /year. Please email a copy of your CV to info@brightspark.energy or if you would like anymore information on the job role please phone 0203 837 4957. All of this is possible with no capital cost using a range of unique social enterprise funding options. Lisa Meek, Headteacher, Pilgrim Primary School. Energy prices are rising at over 10% per annum. In order to reduce the impact of this, it is important to think holistically by investing in the right set of technologies, we can make your school more sustainable over the next 20 years …. Please get in contact to find out how we can help your school in 2019. Are you considering installing Solar Panels in your home, business or school? If so, with only 6 months left before the Feed-in Tariff ends, it may be worth considering sooner rather than later. Right now, the Feed-in Tariff currently pays you for the electricity your system sends back to the grid for upto 20 years. The Feed-in Tariffs (FITs) scheme is a UK Government scheme designed to encourage uptake of a range of small-scale renewable and low-carbon electricity generation technologies. Under FITs, you could be paid for the electricity you generate if you install or have installed an eligible system like solar PV, a wind or hydro turbine, or micro CHP. The UK Government's Department of Energy and Climate Change (DECC) makes the policy decisions about the FITs scheme and are the relevant contact for queries about legislation. The energy regulator Ofgem E-Serve administers the scheme. Certain energy suppliers (also known as FITs licensees) handle FITs scheme applications and will make the FITs payments. The large energy suppliers are required by law to be FITs Licensees; smaller suppliers are not required by law to do this but many have opted to offer this service anyway. Visit Ofgem for a list of FITs Licensees. Please note that the information on this page is not an exhaustive list of all the criteria of the Feed-In Tariffs scheme. How much could I receive through FITs? Export tariff: your energy supplier will pay you a further rate for each unit you export back to the electricity grid, so you can sell any electricity you generate but don't use yourself. At some stage smart meters will be installed to measure what you export, but until then it is estimated as being 50 per cent (75 per cent for hydro) of the electricity you generate (only systems above 30kWp need to have an export meter fitted, and a domestic system is unlikely to be that big). Energy bill savings: you will be making savings on your electricity bills because generating electricity to power your appliances means you don’t have to buy as much electricity from your energy supplier. The amount you save will vary depending how much of the electricity you use on site. Visit our Renewable electricity pages. Get in contact with us today for more information on how we can help you save money, save energy and save carbon! Marlborough Primary School is part of the REAch South Academy Trust. 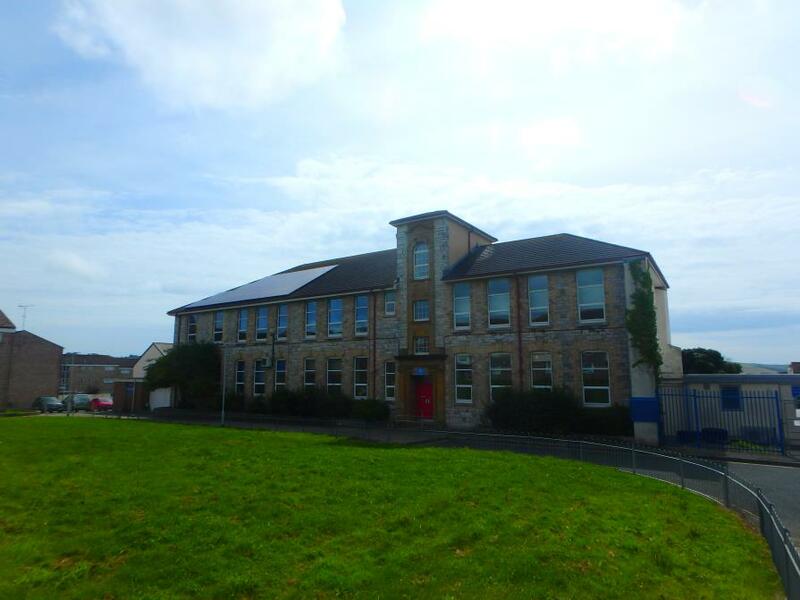 The Primary School is based in the heart of Plymouth and is in an old granite building that has proven hard to heat and light effectively resulting in large energy bills. Bright Spark Energy were asked to design a solution that not only reduced the energy consumption of the buildings but also to improve lighting quality. We were asked to provide a Solar PV system in conjunction with an LED Lighting project to reduce the reliance on grid bought electricity. The School was using 69,500 kWhs per annum for Electricity paying a high electricity rate. Solar PV System – reducing the energy from the grid. We proposed and installed a 49.8KWp Solar PV System at Marlborough Primary School subsidised by a Social Enterprise operating rental with no upfront cost to the School. Using the standard MCS yield calculator we calculated the following yields for the installation. We have been tracking the performance of the Solar PV system as the O&M partner to the social enterprise funder using the Meter Online enabled Solar PV Meter– in the past 12 months the system has worked well and outperformed our initial expectations. The School has consumed almost all of the Solar PV generated maximising self-consumption and increasing the savings generated to be re-invested back in to Teaching and Learning. After paying the operating rental quarterly in arrears the Primary School will generation a net saving of £ 3,100.01 to invest back into the social mission of the fund – to further the educational outcomes of disadvantaged children. See how upgrading to LED Lighting at Springhill Primary Academy at no capital cost, resulted in better teaching and learning environments, up to 80% savings on electricity costs and a 13 year warranty. The Steyning Downland Scheme engages the local community and young people in particular, in enhancing the natural beauty of 165 acres of the South Downs National Park for the benefit of the community, the land and its wildlife. They are a registered charity, run in accordance with Christian values, partnering with the Wiston Estate, the National Park Authority, A Rocha UK and local volunteers. The Charity has recently completed the construction of a new 'gateway' building at the entrance to their Nature Reserve for use by schools, community groups and the general public. Matthew Thomas, Project Manager of Steyning Downland Scheme and Tara Kennard, Business Manager of Bright Spark Energy. 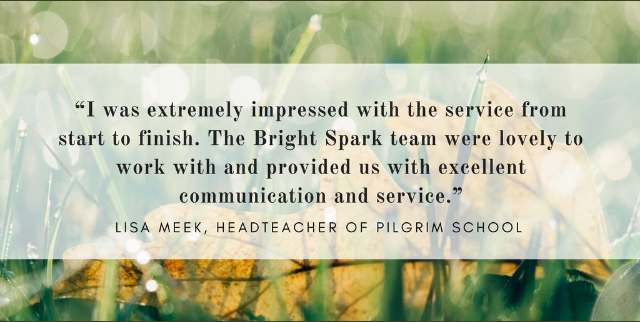 Matthew Thomas, Project Manager at the Downland Scheme, contacted Bright Spark Energy to work with the Scheme to provide power to the Gateway Building to charge tools and electronic learning resources and lighting for function and external lighting for Solar PV. The Gateway Building provided a number of challenges. Because of the age of the distribution network in the area, providing mains electricity was not a cost-effective option so our Solar PV design team had to come up with a number of other options. · New Distribution Board with new LED IP rated Lighting, External Bulkheads with MW sensors and an LED PIR Spotlight. The Solar Panels on the Gateway Building. The team at the Gateway were very happy with the end result. “We’re extremely grateful to Bright Spark Energy for helping us out with a power supply for the Gateway” said Matthew Thomas, SDS Project Manager. “Now we can fit lighting inside, which will be a huge help, particularly for those short, winter days when we do most of our habitat conservation work”. Donating the System to the Downland Scheme. We were so excited about the project we decided to sponsor the gateway building by donating the Solar PV system with battery storage and the LED lighting. “Part of our ethos is to invest our time and profits back into working on local community projects such as the Steyning Downland Scheme. I was very impressed by the work they have been doing and the positive impact it will have on the local schools and wider community. Mark Stevenson, Managing Director, Bright Spark Energy. Charlie and Saul installing the Charge Controller and Inverter. 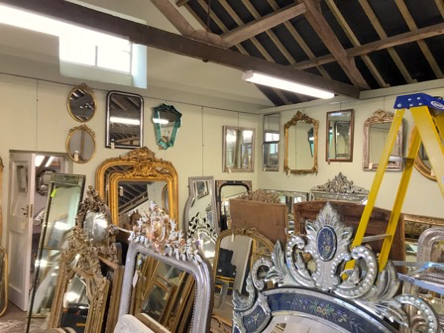 On Reflection Mirrors is the leading specialist antique mirror dealers in the UK. The company is run from a Barn in the village of Charlton Horethorne in Somerset. The company’s electricity bills were rising significantly in order to effectively light and heat the showroom, restoration workshop and offices. Electricity costs were approx. £ 2,500 per annum and rising. The work areas had a mix of 5ft and 6ft T8/T12 and traditional fluorescent lighting, track lighting and additional lamps plugged into sockets to provide a good enough lighting level. Heating was a mix of electric and infrared heating panels. All of these panels were at least five years old and not very efficient. Bright Spark were asked to design a solution that not only reduced the energy consumption of the buildings but also to improve lighting quality. We were also asked to provide a Solar PV system to reduce the reliance on grid bought electricity. The showroom was in the curtilage of a grade 2 listed building so Bright Spark worked with the customer and the local Planners to develop a scheme that met local planning requirements. It was important to minimise the impact of the Solar panels on the aesthetics of the building so through dialogue and a number of different iterations all parties agreed on a solution. We proposed a 6.84KWp Solar PV System with all black JA Solar 285w panels and 2 Solis Inverters. Our installers also ensured that all of the mid clamps, end clamps and the end of the mounting rails were sprayed black to fit in with the surroundings. This had the following pay back based on the low electricity cost of 10.45p. Overall it is estimated that the customer will save approx. £ 23,000 over the 20 years of the FITs period based on an RPI of 2.5% per annum and an EPI of 5% per annum. The existing lighting in the building was of a poor quality and inefficient. During the Solar PV installation our team also swapped over the lighting. The mirror showroom was a real challenge to light effectively. In order to replace the track lighting and old fluorescent battens we redesigned the lighting scheme to maximise the effect of the stock below. We chose a 4000k “Neutral White” color with an opal diffuser to soften the spread of light. Lighting quality – pre installation. Impact of the LED Lighting. Overall the LED installation cost £ 657.38 plus VAT with a payback period of 2.4 years. The customer has recently contacted us to further investigate the opportunity of Battery Storage linked to the Solar PV system and new high efficiency heating panels for the showroom and working areas. Bright Spark Energy are very excited to announce we will be sponsoring and presenting the award for 'Green Business of the year' at The Southern Business Awards 2018. The Southern Business Awards celebrate business excellence within the South Coast. These awards are in its 8th year and are organised by the Johnston Press South Events team who are dedicated to recognising, rewarding and celebrating local businesses. The awards ceremony will take place on Friday, September 7th 2018 at the Grand Hotel Brighton and will be presented by Vicky Edwards who will take the reins at the glittering gala evening. Save Your School Money by Saving Energy! Introducing our newest Spark team member! The Bright Spark Team is growing, and not just in terms of our company and office space! After relocating the company from London to a new headquarters in Warningcamp in West Sussex, we knew that we needed to have a team member who not only could help expand the business but also knows the local area. New year, new energy plan...? At the start of a new year we all have our resolutions to improve ourselves. But how about resolving to improve our schools’ energy expenditure? Here at Bright Spark Energy we thought we would share some useful guidance for schools – looking at how you can best mitigate against rising energy costs and why saving energy is less complicated than it seems. It may surprise you to know that the majority of homes, offices and schools in the UK are inefficient; a large number of buildings were constructed in the 70s or earlier and are, therefore, not well-insulated and have an aging built environment. With falling capital improvement budgets comes a greater need than ever for investment in green technologies. The education sector needs to become more sustainable in the long-term, opening up the opportunity to reinvest the savings made from energy projects back into teaching and learning. There are innumerable options for energy providers and, with limited time and resources, it’s not always easy to determine the one that’s best suited for your school. Rushing into a contract without reading all of the small print can lead to some costly blunders. For example, some providers may ask schools to buy equipment outright with a very short warranty on LED lighting – i.e. under 10 years. This would mean that, if the LED lighting were to break, it could leave school leaders with the unsatisfactory option of buying brand new – and potentially expensive – replacements. Other suppliers might sign schools into leasing deals that don’t meet DfE guidelines – for example, ‘rent-a-roof’ or ‘shared saving’ schemes that never deliver what was promised. Lighting is the biggest cost to running buildings and most schools still use fluorescent lights which were advertised as energy-saving when they were introduced, but are now considered wasteful. LED luminaires are known to be up to 80% more efficient, have a longer life (up to 50,000 hours), better light quality and lower maintenance requirements and heat output. Switching to LED lights can lead to energy savings of around 70%, while estimates of savings when switching outdoor lights, like those on sporting grounds or in parking lots, can be around 75%. It is true that turning down your heating by one degree will save you money but, in order to make a bigger impact and not risk freezing your pupils, we would advise that you invest in an intelligent heating system that allows you to split the school into zones and heat these only when needed, rather than the typical ‘on all the time’ or ‘twice–a-day, everyday’, schedules which most schools abide by. This kind of upgrade not only leads to long-term savings on energy, but also provides improved the comfort indoors – a welcome feeling in these chilly months. We know that students can often be the most enthusiastic adopters of social campaigns and that’s why we suggest that you turn this into a school-wide movement. Utilise eye-catching signs and regular announcements to draw attention to wasted energy. Put the power in the hands of staff and students to improve efficiency and allow them to do their part to express environmental consciousness; you might be surprised how much energy can be saved when your students proactively turn out the lights! Solar Photovoltaics, or Solar PV for short, is technology that many within the UK have become accustomed to as a renewable energy resource. In its simplest terms, it is a technology that converts daylight into electrical power, which can then be used to light (and in some cases heat) a building, saving costs on grid-purchased energy. In 2014, the government produced a report discussing the benefits of Solar PV including the ability to reduce electricity bills, reduce CO2 emissions, generate surplus for schools and create opportunities for sustainability education for students. The New Year is the perfect time to re-evaluate your school’s energy usage and determine whether a change in energy contracts, or new lighting or renewable technologies, could save you money in the long-term.